Roads and Highways are the lifeline of our Country. Our Economy runs on the Roads and Pavements. In Civil Engineering, Pavement refers to durable surfacing of Roads, Air strips or such similar area. Their main function of the Pavements is to help in transmitting load to the sub base or underlying soil. India can be considered fit for growth and development, if its Roads are fit. We currently have lot of challenges in this sector. Roads go bad after the first rain. The life of the Roads is not as great as expected to be. So we need to evaluate fitness or wellness of our pavements on a regular basis. 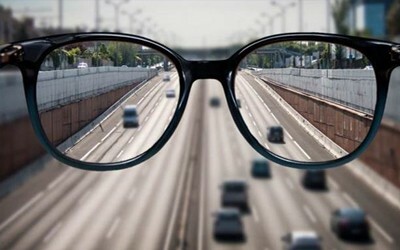 Earlier it was being done by Visual inspection only which was very subjective and based on experience of the person who was monitoring pavementâ€™s performance. The non destructive methods employed can actually make the data collection more routine and simplify the process of evaluation. 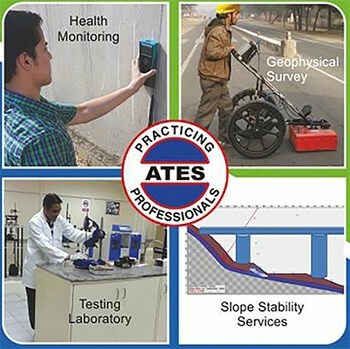 Non Destructive testing equipment as the ones mentioned above are useful for assessing variability in the pavement. These deflections will help us identify weak areas and help us measure the load-bearing capacity of the pavements, for its adequacy. In addition, testing at Labs will also be required to ascertain the actual health of the pavements. Non destructive techniques are a great way for evaluating the pavement as with these you donâ€™t have to break or tear up the pavements. The non-destructive testing can be very useful for effective QA/QC only if these techniques are done correctly. A lot of good equipment of reliable Brands are today available but what is often seen is that lot of people in India associated road construction practices, are not well aware of the procedure, for conducting tests related to pavement evaluation. It is not only testing which is an issue another challenge is interpretation of the data obtained after using these equipment. It is also often seen that the calibration of equipment within specified period is not taken care of. It is critical that the equipment used are good, reliable, calibrated and personnel using the equipment properly trained for the usage of the equipment. If required services of experts in the field can be used for interpretation of results so that correct decisions can be taken. Aimil Ltd, Instrumentation experts in India, provides the above state-of-the-art equipment and also provides services related to Pavement Evaluation. Aimil has been operating in India since 1932, focused on helping the Highway Engineers to build Modern India. Aimil brings to you Nuclear Moisture Density Gauges from its overseas partners â€“ Troxler. 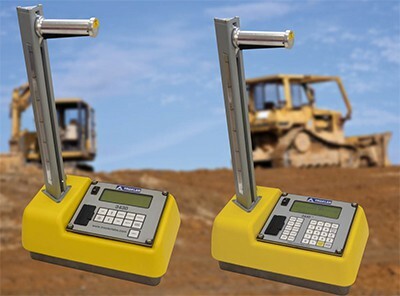 These gauges are used by many contractors, engineers, and highway departments for compaction control of soil aggregate, concrete, and full depth asphalt. The gauges conform to standards like ASTM standards D6938, D2950, and C1040. We offer RoadScan system from the world leaders â€“ Geophysical Survey System Inc., USA. 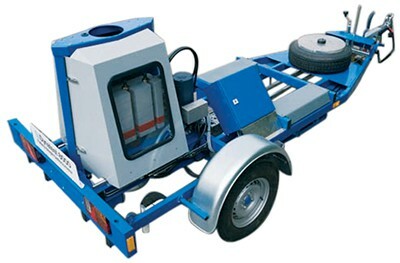 Road Scan System is based on Ground Penetrating Radar technology for Evaluation of Pavements. It helps in quick determination of thickness of pavement layer. With this equipment, data can be obtained at highway speeds in real time. 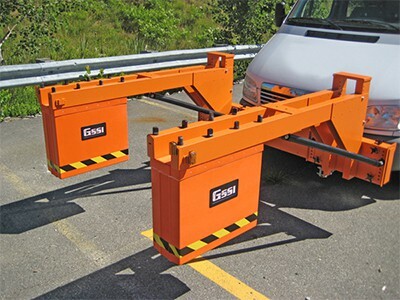 This eliminates the requirement of lane closures. It also provides a safer working environment. Aimil also offers Falling Weight Deflectometer (FWD) from our Principals â€“ Dynatest. FWD applies a dynamic load that simulates the loading of a moving wheel. The pavement response is analysed with Dynatest’s ELMOD (Evaluation of Layer Moduli and Overlay Design) software to determine the elastic moduli, stresses and strains of each modeled layer. ELMOD reports the weakest layer of failure, residual life and determines the optimum rehabilitation alternatives. The FWD is available as a trailer or a truck mounted version meeting all FWD standards worldwide. Aimil manufactures state-of-the-art Dynamic Cone Penetrometers, apart from other equipment required for Pavement Testing, Asphalt Testing, Soil testing, Concrete Testing etc. In addition to these equipment, we also offer services through our Consultancy wing -Advanced Technology & Engineering Services. Refer to our website www.aimil.com, for more details on the products and services we offer. 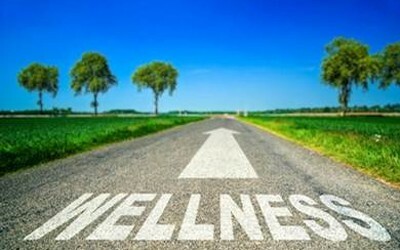 Hence keep your Roads fit by ensuring your QA/AC processes to ensure we have a fitter India.